This series on digital publishing is sponsored by Digital Book World, January 23-25, 2012. Enter discount code PUBPER12 at checkout to save $200 off the registration rate. MADRID: The launch of Casa del Libro’s project Tagus marks a beginning and end in the the short-lived, although intense, history of digital publication in Spain. With the impending arrival of Amazon, Apple, Google eBooks, Kobo, Copia, among other players, into the Spanish market, the most important Spanish chain of bookstores, Casa del Libro, has taken steps to confront its competitors in an effort to obtain an important market share of the future digital market in the mid term. Although e-book sales on the Spanish market are currently quite small in relation to total sales of books, this situation will probably change shortly. The fact that companies such as Amazon, Kobo or Apple may have enjoyed certain success in their markets of origin does not mean that the same results will automatically be obtained in the Spanish market, since it has its own domestic idiosyncrasies and peculiarities. The new competitors will have to gain the trust of Spanish readers. Most of international players are still not as familiar to the vast majority of Spanish readers, who are much more familiar with a local company, such as Casa del Libro. In this context of competitive, Casa del Libro’s digital venture has several strong assets in comparison with that of its international competitors, and is likely to be in the pole position in the race for digital readers. Why? 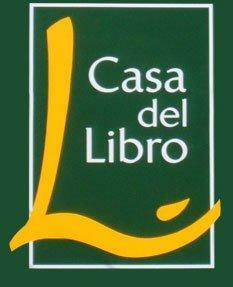 Casa del Libro is extremely familiar with the profiles and purchasing habits of readers in the Spanish market. Founded in 1923, it has continued to grow, and in 1992 became part of Grupo Planeta, one of the main publishing groups in Spain. With 37 stores throughout Spain, it has a broad network of physical stores — a strong point in favor of Casa de Libro and one of its main competitive advantages in this market. It also went online early — in 1996 — and today Casa del Libro’s website has almost 900,000 registered users and more than 7 million monthly visitors. Casa del Libro has adopted a system similar to that of Amazon, Apple and Barnes & Noble: creating an ecosystem based on a given device that is connected to a cloud platform, thereby enabling readers to access a broad range of digital content and services. An ecosystem based on Ereader+Plataform+Services guarantees the user a more seamless online purchase process. Casa del Libro makes online purchases quickly, easily and safely via the “Compra en 1-paso” (one-click buying) option. To offer this new service, the Tagus team developed its own proprietary technical solution. As proven by Amazon and Apple, it streamlines the buying process, inspiring more people to buy. One of the most interesting and different options offered by Casa del Libro is the incorporation of a second hand book market. To benefit from this book selling option one must register as a seller via its website. Once the books to be sold are identified, the bookstore collects them and delivers them to the buyer. The user requiring this service has a choice between two selling options. It is simply a matter of choosing which of the options is more advantageous: as a private seller or professional seller. We also consider the decision to integrate Planeta’s old social network of readers, Libro de Arena, into the new platform as being extremely clever. In this new era of participation, the purchase and sale of books will be more and more social. Most of the competing platforms (Kobo, The Copia, Findings, Readmill, etc.) are also strongly promoting the derived benefits of the sociability of reading. Another of the main competitive advantages of Casa del Libro is its broad range of paper and digital content. Casadellibro.com offers more than a million books in print and about 60,000 e-books. According to its management, the Tagus e-book catalogue includes titles on offer from other major Spanish-language e-book sale and distribution platforms, including Libranda, Leqtor, Publidisa, Bubok, as well as public domain titles from Project Gutenberg. Casa del Libro’s digital venture will have repercussions on the rest of the sector since it will force all the national and international entities to speed up their digital plans. Let’s not forget that the race for digital readers in the Spanish markets has only just begun. All the participants must realise that it is a long race, one that involves annual investments of several million euros on technology, as well as business development, marketing campaign, customer service, etc. Many national and international competitors will undoubtedly crash along the way. Despite all the factors in Casa del Libro’s favor, there are still challenges ahead and questions to be answered. We sincerely hope that Casa del Libro’s digital venture will be a huge business success. If we wish to maintain a Spanish book world in the digital era with a wide range of distribution and sales points, we must not leave the future of online publishing in the Spanish market in the hands of three or four platforms, regardless of whether they are national or international. A diverse and broad range of virtual bookstores will guarantee greater competition among them, resulting in better services and a larger offer of content for all readers. DISCUSS: What was the Top E-Reading Story of 2011? José Antonio Vázquez is a writer and consultant with Dosdoce, an online portal analyzes the use of the new technologies in the cultural sector and publishes annual studies related to trends in the Spanish publishing sector. Javier Celaya, a frequent contributor to Publishing Perspectives, is CEO and founder of Dosdoce.